The Oakleigh football ground is part of Warrawee Park, in Melbourne’s southern suburbs. Oakleigh Football Club was formed in 1891 and joined the Victorian Football Association in 1929, from the Melbourne District League (where it had won the flag in 1924.) It won eight VFA premierships, the first in 1930 and the last (in second division) in 1988. 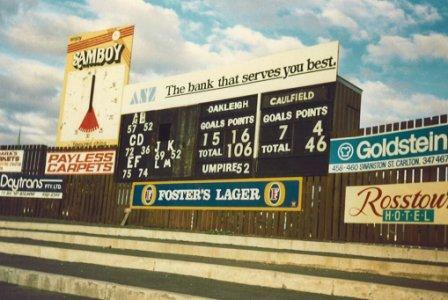 The photo above was taken in May 1987 by Oakleigh supporter Jeff Lawton. 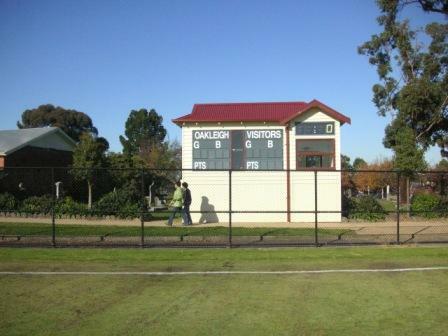 The scoreboard, which dominated the Drummond St end of the ground, was pulled down early in the 21st century and replaced by a more modest and sedate structure on the cemetery wing. When I visited the ground on the first day of winter a passer-by said hello as I stood in the car-park trying to imagine games here in the old days. ‘I started following Oakleigh back in the 30s,’ said Kevin, a spritely 84 year old. ‘My dad was the head trainer back then. 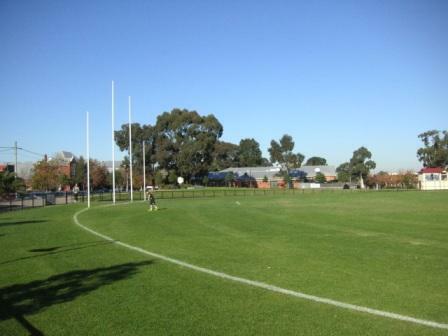 Warrawee Park is now home to TAC Cup Under 18 team the Oakleigh Chargers. 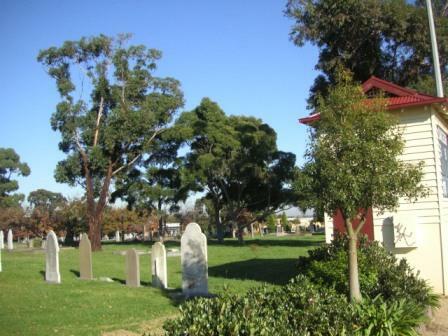 I also love the location of the cemetery; a great spot to rest.